The Rogue Valley Metropolitan Planning Organization (RVMPO) Policy Committee, Jackson County, State of Oregon, will hold a public hearing to review and consider adopting the Unified Planning Work Program (UPWP) for the 2019-20 fiscal year (beginning July 1, 2019). The hearing will be held at 2 p.m., April 23, 2019, during the Policy Committee meeting at the Rogue Valley Council of Governments, 155 N. 1st Street, Central Point. The UPWP incorporates all transportation planning and supporting comprehensive planning activities for the Medford Urbanized Area, as required by 23 CFR Part 450. The planning area includes portions of Jackson County and the cities of Ashland, Talent, Phoenix, Medford, Jacksonville, Central Point, Eagle Point, and the Rogue Valley Transportation District. Please comment in writing to Rogue Valley Council of Governments, 155 N. First Street, P.O. Box 3275, Central Point, OR 97502 or offer testimony in person during the public hearing. 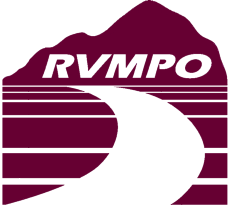 The draft UPWP may be viewed online at www.rvmpo.org, and at RVCOG at the above address. Please direct comments to Karl Welzenbach. Written comments received by 5 p.m., April 22, 2019, will be included in a staff report for Policy Committee review. If assistance is needed to participate in this meeting please contact the RVMPO, (541) 664-6674. Notification of at least 24 hours prior to the meeting will assist staff in providing reasonable accommodation. This public hearing notice is being used to meet the public participation requirements for the Federal Transit Administration’s Program of Projects.